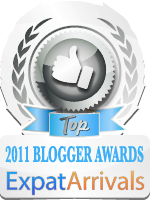 I want to thank the very nice person who recommended that my blog be included in something called blogsherpa. This is a new initiative by Lonely Planet to have certain posts from a blog be syndicated on the relevant city or country. I had to do a little administration that involved setting up a blogsherpa account, a google adsense account and re-tagging a few posts. I was quite amazed that when last week by the power of the Web 2.0 I saw the syndication of a few of my posts! If you head over to the Dubai web page at Lonely Planet’s website you will see how it integrates into their layout. There are a couple of nice things about doing this. They have created a blogsherpa community where travel bloggers can unite and I have found it fun looking at other blogs focused on what life is like in different cities around the world. The other really nice upside is that I am really keen to contribute. I want to do more “Dubai things” and blog about them so I can share my experiences with a far broader audience. I am all ready compiling a list of things that I should have done, but never quite made it. These include the Dubai Museum, Bastikya, the fabric souk, Global Village, an abra on the Dubai creek and Jumana at Dubailand. I shall be doing all of these things and more….just as soon as the weather cools down a bit.